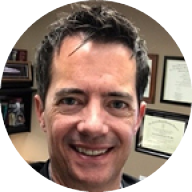 Anthony Dunnigan, MD, MBI is currently the Chief Medical Information Officer of the Maricopa Integrated Health System (MIHS), the county health system of Maricopa County, Phoenix, Arizona. He is also currently an Assistant Professor of Biomedical Informatics at the University of Arizona College of Medicine-Phoenix. As the safety net hospital for Maricopa County for the past 140 years, MIHS is committed to delivering the highest quality medical care to those in need. Anthony leads the staff that bridges the gap between technology and the care provided by mission-driven clinicians. Prior to his current role, Anthony was a Senior Advisor for the Veterans Health Administration, serving as clinical co-lead of the VistA Evolution program, delivering the next generation of health information technology to VA facilities. He was also Director of Medical Informatics at Phoenix Indian Medical Center, and was responsible for designing and deploying the IHS-EHR throughout the flagship hospital of the Indian Health Service (IHS). Anthony continues to practice Internal Medicine in a primary care academic setting at MIHS. He has a medical degree from the Uniformed Services University of the Health Sciences in Bethesda, Maryland and was a proud Public Health Service Officer for 17 years. He has a Masters in Biomedical Informatics from Oregon Health and Science University in Portland, Oregon. He is double-boarded in Clinical Informatics and Internal Medicine.